16 oz. 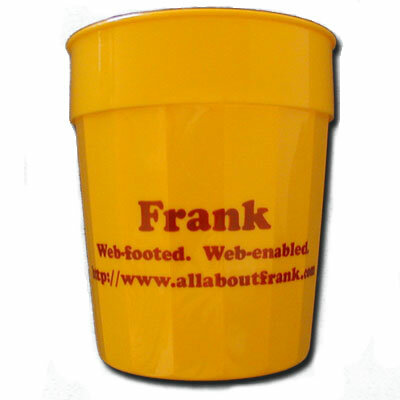 Yellow Frank Stadium Cup. Soda, mineral water and snow cones all taste dandy in this dishwasher safe cup. And it'll make it through stadium metal detectors.